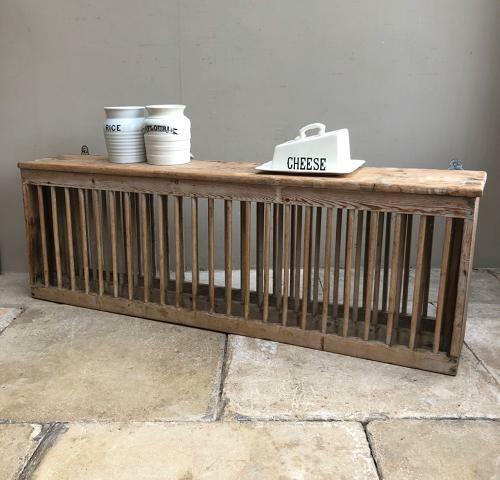 Victorian Single Tier Plate Rack to hold 22 Plates. Will hold modern size dinner plates (as some early ones dont) but also smaller side plates too. Unwaxed at the moment and just as it came out of a large country house kitchen. I can wax it for a little extra though. All spindles present and all sturdy and strong. Handy top which makes a great extra shelf. Large so Collection or Courier only UK £45 (Not including Scotland).